When I first opened the box with my Nike Zoom Wildhorse 2 ($110) shoes, I was pleasantly surprised by their aesthetics. I’m a sucker for shoes that incorporate a good amount of greys and blacks into the color scheme, mostly to hide the dirt and (not so) occasional blood from knee scrapes that comes with my Colorado mountain running. The Nike Zoom Wildhorse 2. The pair I tested was Wolf Grey/Dark Ash/Hyper Jade/Volt in a men’s size 8. A size 9 weighs in at 9.3 ounces, which places them smack in the middle of my near-complete personal Salomon shoe line. These are a neutral shoe with minimal support, so if you’re an overpronator, you may want to look elsewhere. Nike uses the Dynamic Fit system, which is a supportive inner sleeve that wraps under the arch and around the midfoot for better arch support and a secure, yet non-restrictive fit. The toe box is seamless, making this shoe one of the most comfortable shoes I’ve ever worn. Nike describes the fabric in the roomy toe-box as “open mesh,” but it’s not the mesh you think of. It’s woven quite tightly and I never had an issue with dirt or sand entering the shoe in that area. The Wildhorse also uses an EVA sockliner and Stobel last. The lacing system is standard; the laces are flat, and their fabric is such that a double knot isn’t required. I found the fit to be secure and very comfortable. If I was a sockless runner, these would be my go-to shoes. The toe bumper has been streamlined from the first edition, resulting in the low height, but combined with the fabric, doesn’t restrict wiggle room. The full length Phylon midsole foam with the Crash Pad and Zoom Air in the heel gives adequate protection for most trail conditions. To me, the ride felt semi-firm to firm, and I liked that the shoe felt responsive. I did find the torsional stiffness to be a bit lacking on canted or deep-grooved singletrack, and I don’t think the shoe has enough protection for me on technical trails, but I’m not always the most nimble-footed runner. Nike uses a variety of substantial and well-thought out tread patterns to give this shoe impressive grip. The placement of the Waffle-pattern square lugs under the forefoot and front of the midfoot gives really good bite into whatever surface you happen to be on. The rear midfoot and heel sport reverse arrow lugs which are perfect for downhill running. Around the outside of the sole are smaller, triangular lugs which really complement the top-notch grip. The Environmentally Preferred sticky rubber allowed the shoe to perform well in dirt and sand. It also provides great grip on wet rocks. I was most pleased with the way they handled snow. I had good traction and they also shed the slush that usually wedges and remains between the lugs. The first time I tried the shoes on, I was impressed by how comfortable they were with and without socks. I felt like I had been wearing them for a few weeks because of how they hugged my feet. I did find that if I wore my standard medium-weight Merino wool socks, these shoes were a tad snug. Knowing that, I’d prefer to have a size 8.5, but with a lighter-weight sock, the size 8’s felt just fine. This shoe has a 4mm drop (22 heel/18 forefoot), and I really like the way my foot is low to the ground but still feels supported. Even though the toe box is low height, I never felt like my toes were cramped. The toe box is also seamless, which my pinky toes really appreciate! I was pleased with the grip of the shoes and felt secure on all of the surfaces I ran on. I didn’t have a chance to do any water crossings, so I can’t speak for the shoe’s ability to drain, but my guess is that with the density of the fabric used, there may be more water retention than other shoes on the market that sport more open mesh. I also didn’t get to wallow in mud, so I’m not sure if the shoe will shed that, but honestly, I’ve never found a shoe that didn’t collect four inches of the stuff that you find on Colorado’s Front Range. For me, this shoe is the perfect for non-technical, rolling singletrack. They aren’t stiff enough for the steep, rocky trails that I frequent, and I prefer a little more rock protection. The Wildhorse 2’s would be great for a trail half, but I’m not sure I could run a full marathon distance without wanting a bit more protection and support. These shoes are perfect for the nimble midfoot striker. I’m still transitioning to the midfoot strike and I’m finding these are great training shoes since they definitely encourage that gait. The Nike Zoom Wildhorse 2’s definitely have a place in my line-up of shoes. At $110, the price may be a tad steep, but let’s be honest, shoes that cost less than a Ben Franklin are a thing of the past. I think Nike did a great job in making a lightweight, low-profile, neutral shoe that will give you a comfortable ride and fantastic grip on most trails. Have you tried the Nike Zoom Wildhorse 2’s yet? If so, what are your impressions of them? Have you worn both the original Nike Zoom Wildhorse as well as this second model? If so, how would you describe the updates made to the shoe? For those of you who’ve run in the range of Nike models, what are your thoughts on the Wildhorse’s place within it? What's the difference between the Wild Horse and the Kiger? I found Kiger being little narrower than Wild Horse too. In general, Kiger seem to be more of a race shoes compered to more solid Wild Horse trainer type. the upper on the Kiger is also quite a bit different. The Kiger uses flywire in the lacing system which gives it a pretty secure fit compared to the more traditional lacing system mentioned in the article for the wildhorse. The Kiger also has less of a heel counter (just a tiny bit of firmer regrind material) compared to the more full counter in the Wildhorse. The outsoles of the 2 shoe are different materials actually. The Kiger using a stickier rubber than that of the Wildhorse. So if you were running a long distance race with a mix of terrain, which is the preferred shoe? The Kiger because of the added midsole cushioning? The Wildhorse is an amazing shoe. At the World Mountain Champs, Patrick Smyth (10th overall, 1st US), Zach Miller (4th US), and Megan Roche (21st overall, 2nd US) all wore the Wildhorse 2. And I know the team splits about 50/50 on the Wildhorse and Kiger, depending on the race. When Megan and I joined Nike Trail, it was partially because the Wildhorse 2 is the best mix of speed and support of any trail shoe we've tried (which is almost all of them!). 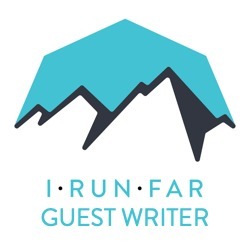 Thanks iRunFar for supporting the MUT community! Hey Nike, I'm waiting for a 0mm drop to buy from you again. I LOVE this shoe. I own the PI N1 and N2, Salomon Ultras and Mantras, and a multitude of other high priced trail shoes and this is my go-to. It's the most comfortable trail shoe I've ever worn. I wish it had a bit more cushioning in the forefoot but that's an opinion, I knew how much was there going into it. Great, amazing, fantastic shoe.